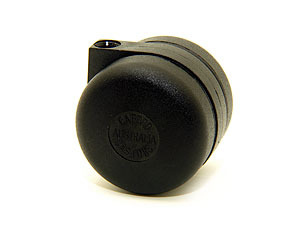 Caford castors have long held the reputation as the original developer of plastic twin wheel casters. Caford’s offers a range of the original styled “Caford Twin Wheel Nylon Castors”, plus Imported Taiwanese quality twin wheel nylon castors. Additionally, Caford offers a range of Glides for use where wheels are not appropriate. 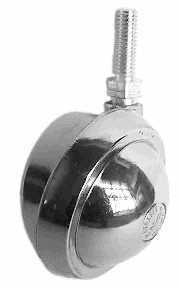 Also offered are single wheel pressure zinc diecast “Ball Castors”, castor pintle adaptor sockets to attach castors and glides in various ways to your product, and the Traditional Brass and Porcelain castors. Please click on the blue highlighted sub heading below, for pictures and specifications of the available Twin Wheel Castors, Metal Ball Castors, Plastic and Metal Pintle Sockets, Glides and Porcelain and Brass Wheeled Castors product ranges. A castor is an undriven, single, double, or compound wheel that is designed to be mounted to the bottom of a larger object (the “vehicle”) so as to enable that object to be easily moved. They are available in various sizes, and are commonly made of rubber, plastic, nylon, aluminum, or stainless steel. A furniture glide is an undriven, flat or slighty convex face down disc that is designed to be mounted to the bottom of a larger object (the “vehicle”) so as to enable that object to be more easily moved by skidding or “gliding” over the surface it is in contact with. They are available in various sizes, and are commonly made of plastic, nylon, aluminum, zinc or stainless steel.